Are you looking for asbestos removal services for your home in Des Moines, Iowa, or another nearby area? If so, turn to the experts at Waddle Exteriors. What separates us from many other home improvement contractors in the area is that we are a fully-licensed and –certified asbestos abatement company. This is important, because in order to make your home safe from asbestos, it is required to have a state mandated license. The removal of asbestos is vital because extended exposure to the material can cause long-lasting damage to your health. If you suspect there may be asbestos in your home, you need to contact a company that can expertly handle the problem for you. 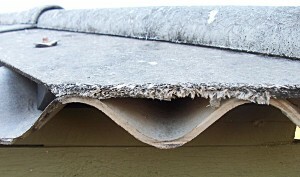 Because homes are no longer built with asbestos siding, many people think asbestos is no longer an issue. However, if you live in a home that was built before 1978, it is crucial that you have your home tested. Waddle Exteriors will take care of the testing and removal of asbestos so that you can rest easy knowing your family is safe from this dangerous material. If you want to learn more about the asbestos removal services offered by Waddle Exteriors to homeowners in the Des Moines, IA, area, contact us today.